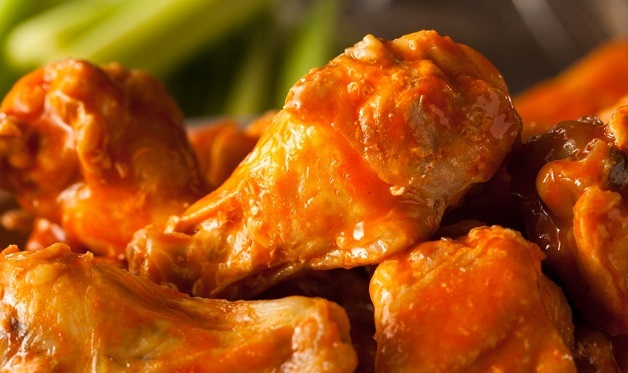 More Baton Rouge than Buffalo, these spicy wings will be a hit on Mardi Gras and beyond. Step 1: With a sharp knife, cut the tips off the wings and discard or use them for stock. Cut each wing into two pieces through the joint, giving you a meaty “drumette” and a “flat”. Season the wings with the rub. Step 3: When ready to cook, brush or scrape the grill grate clean and oil it well. (Wings have a tendency to stick.) Arrange the wings on the grill grate away from the fire. Add the wood chips or chunks to the coals, if using. Grill the wings for 45 minutes, or until the skin is crisp and golden brown and the chicken is cooked through, turning once or twice during the cook time. Step 4: Make the Cajun Remoulade while the wings cook. Step 5: Melt the butter in a small saucepan on the side of the grill grate. Stir in the hot sauce, Worcestershire, and lemon juice. Step 6: Using tongs, transfer the wings a few at a time to the butter mixture. When they’re coated, put them on a platter or plates and serve with celery sticks and the Cajun Remoulade. For a smoker:: Arrange the wings on the wire rack in the smoke chamber. Smoke the wings until golden brown with smoke and cooked through, 1 to 1-1/2 hours. In some smokers, the wings closest to fire will cook faster; if this is the case, rotate the wings so all cook evenly. If your smoker allows heat increase, raise the temperature to 400 degrees the last 20 minutes to crisp the skin. To check for doneness, make a tiny cut in the thickest part of a few of the wings. The meat at the bone should be white, with no traces of red. Do not overcook.